The material here presented is meant to illuminate certain aspects of American history from the Civil War era, but it is also meant to establish arguments and to answer other arguments, either among professional historians or average Americans. 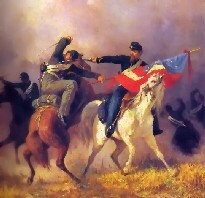 Some of the chapters will give due appreciation of the military effort put forth by the South -- both in comparison to the North and in its own right -- establish the legitimacy of the South's bid for independence, and encourage respect for the will to fight shown by the people of the Southern states. Others will re-emphasize that racism and slavery were, and remain, national experiences. Still others will give economics and politics their proper roles as causes of the American Civil War. I am born and raised in the North; I have no moonlight-and-magnolias sentimental attachment to the ante-bellum South. I live in an urban neighborhood, and I teach my child to judge the people around him by their deeds and character, not their pigment. I have no moral argument to make in favor of American slavery, though, unlike some, I won't condemn every slaveowner in history as a monster. "My book is not greatly concerned with the causes of the war or with war guilt. It is an attempt to show how the democratic process broke down under an unusual strain .... I did not set out to defend slavery. I do not attempt to do so; I do not even believe that it can be defended. I simply attempted to explain a section's institution in terms of its own day and to present both its advantages and disadvantages as a labor system." "Any historian who argues that the Confederate people demonstrated robust devotion to their slave-based republic, possessed feelings of national community, and sacrificed more than any other segment of white society in United States history runs the risk of being labeled a neo-Confederate. As a native of Los Angeles who grew up on a farm in southern Colorado, I can claim complete freedom from any pro-Confederate special pleading during my formative years. Moreover, not a single ancestor fought in the war, a fact I lamented as a boy reading books by Bruce Catton and Douglas Southall Freeman and wanting desperately to have some direct connection to the events that fascinated me. In reaching my conclusions, I have gone where the sources led me. My assertions and speculations certainly are open to challenge, but they emerged from an effort to understand the Confederate experience through the actions and words of the people who lived it." Eugene Genovese is another who has observed that, in today's academic climate, "to speak positively of any part of this southern tradition is to invite charges of being a racist and an apologist for slavery and segregation." When Bernard Bailyn wrote the word "fanaticism" to refer to abolitionist beliefs, he was attacked for using "the vocabulary of proslavery apologists." One stands up for the South with a resignation to being splattered by rotten vegetables. So why bother? Because many otherwise thoughtful and open-minded Americans only see the South, past and present, as a failed society, poisoned by slavery and racism, peopled by evil masters and wretched rednecks -- Simon Legrees and "Deliverance" extras. Any love or respect for anything Southern, to these people, is just a transparent mask for racism. This is palpably false. And it is destructive. First, because objective historical inquiry is an essential aspect of a free, thinking people. To ask, "was slavery profitable?" is not to say, "slavery was justified," even if the answer you come up with is, "yes, it was." Moral abhorrence does not preclude honest study. The historian's job is not to tell you the way things ought to have been, but the way they were. My second objection to unthinking South-bashing is more personal and patriotic. I have seen too many people shift the blame for America's modern race mess, and its violent past, onto that one-third of the nation that lies below the Mason-Dixon Line. This psychological shell game absolves the whole by cheating a part. Behind this scapegoating, perhaps, is frustration at a race problem that won't go away. We've given up on dialogue and understanding, and now we just hope to placate the demon with sacrifices. I have had conversations with sane, intelligent, liberal-hearted men who, without a trace of irony, have said that Jefferson and Madison should have been slaughtered by their slaves, and that this would have been fitting and proper and the best possible course of American history. Scapegoating the South trains the mind to think the race problem is one that happens somewhere else, in someone else's town. Particularly, it encourages those of us outside the South to overlook our own communities. It ignores the oft-told truth -- told by Frederick Douglass and Alexis de Tocqueville and Martin Luther King Jr. -- that racism in the Northern cities has always been far more virulent than that in the Southern countryside. Trash-talking the South also incidentally sanctifies a New England-based political and moral culture that is the root of much that is wrong in modern America. The North was a great deal more than just abolitionists and Freedom Riders, just as the South was more than the slave auction block and the lynch mob. Manichaean history does no justice to America's complexity. Dealing with American history on this level requires patience and the ability to get past attitudes unwilling to go further than, "They had slaves, slaves were wrong, the South deserves everything it got." 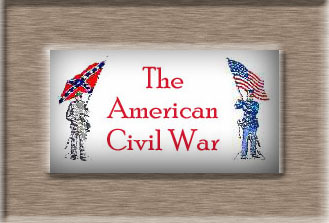 The American Civil War was "about" slavery like the Boston Tea Party was "about" tea. Slavery became the symbol and character of all sectional differences. It was the emotional gasoline on the sectional fires. Its moral and social implications colored every issue in terms of right and rights. William Seward, the Republican leader whose party made so much of this, recognized the fact: "Every question, political, civil, or ecclesiastical, however foreign to the subject of slavery, brings up slavery as an incident, and the incident supplants the principal question." Those who make the mistake of treating modern American racism as some perverse peculiarity of Southern white culture often make the same mistake about slavery. Slavery originally existed in all the colonies (as well as European, Middle Eastern, and African nations). In the United States, it took root in one region and not the other; an accident of climate and geographical economics having nothing to do with inherent moral qualities. Slavery was profitable, and its profits enriched all sections of late 18th and early 19th century America. The South was stripped and plundered and impoverished after 1865, but Northern communities and institutions still enjoy the legacy of their wealth. But if the Civil War wasn't about slavery, what was it about? My favorite (historical) Latin professor, Basil L. Gildersleeve, put forth the proposition that the Civil War was fought over a question of grammar -- whether "the United States" is a singular or plural noun. The American union was like a marriage, and the South wanted a divorce. She got herself together and left the jealous spouse who abused her and took her money. But she was dragged back. I have found nothing in the writings of Southerners to match what I read this week in a file of unpublished letters of Thaddeus Stevens. The words are echoed in plenty of published correspondence, of course. On Sept. 5, 1862, Stevens hoped the leadership in Washington had "a sufficient grasp of mind, and sufficient moral courage, to treat this as a radical revolution, and remodel our institutions .... It would involve the desolation of the South as well as emancipation; and a re:peopling of half the Continent. This ought to be done but it startles most men." The CSA was a bid to form an independent nation out of a region that had a common enemy and some collective regional identity. But the CSA comprised many sub-cultures (a few of them didn't want to be there), and it had a leadership that sometimes confused self-interest with public policy. It had its fair share of charlatans and profiteers and criminal opportunists. It had some brilliant generals and a great many men in uniform who would be the pride of any army in human history. It was committed to 18th century republican values that were incompatible with fighting a modern war, and it had internal social conflicts that the war aggravated. In nearly all of this it was entirely like the American Revolutionaries. The colonists in 1776: one-third for independence, one-third against, one-third uncommitted. That must be the standard for legitimacy, or else our United States lacks it. The CSA fought a much larger enemy than George III, mostly on its own soil, without a Dutch loan or a French fleet to aid it, and the majority, in spite of internal divisions, put up a herculean effort, won spectacular victories, made shift with what little it had, and held out till the place was literally gutted and blood-drained by its foe. The four-year history of the CSA is not necessarily the place to seek an example of the values Southerners sought to uphold. Any nation fighting for survival from the cradle, invaded and blockaded all its life, doesn't get a chance to express the finer points of democracy and civil culture. If all we knew of Americans was how they actually behaved from 1776 to 1783, we wouldn't think much of our sense of "democracy" or commitment to "personal freedom." And since it is impossible to rewind the tape of history and see how it would have played out under a different script, I can't say "the South would have been X, Y, Z today if it had been allowed to separate in peace." That being said, I'd assert there was a tremendous level of self-sacrifice evident in the civilian sector of the South during the war. Southerners endured more and sacrificed more during those years than any large population of Americans has, before or since. And, even amid the hell of losing a destructive war on home soil, the Southern government remained more true to its own constitution on matters like habeas corpus and freedom of the press than the Northern administration did. In the South I see nothing like the war-profiteer fortunes piled up in the North, or the vast government bounty system that bribed men into the army. 1. He was called that by Gary Nash, a fine historian who has made controversial arguments about Northern political leadership and slavery in the late 18th century. I find his position compelling, and there's a page in this site that explains some of it. 2. The quote sometimes is misattributed to Mark Twain.